If you’re going to rely on energy efficient lighting for your home, you need to be confident knowing that it does live up to its expectations. There are many different components in a home that require the use of energy. What many don’t realise is that the lighting can take up about 12% of this. For businesses, it is even greater. For this reason alone one wants to focus on being able to cut the costs of this. One of the ways of being able to do this is by replacing the old light bulbs with the newer energy saving versions such as the LED’s. LED lighting is becoming the buzzword for many smart home systems. There are still some that want to be able to rely on fluorescent lighting and still be able to save some money. This can be done through compact fluorescent lamps which are far more energy efficient. Compared to standard lighting. Yet, there is no compromise in the type of light that is emitted. One of the concerns about fluorescent lighting in the past has been the greenhouse gas emissions. With the compact fluorescent lighting, this has been greatly reduced. 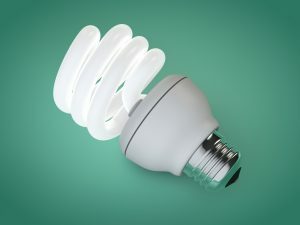 If one is going to focus on energy efficient lighting, then it means taking the time to shop properly for the right light bulbs that are going to be used in the system. The new smart home has these installed, but they will need replacing. One needs to avoid the temptation of going back to cheaper forms of lighting thinking that they are saving money. If you are going to concentrate on energy efficiency, then you need to rely on the technology that is going to provide it. This may cost a little more in the initial investment, but it will create savings in the end.